Mimosa # 5 is a sativa dominant hybrid strain (70% sativa/30% indica) created through crossing the classic Purple Punch X Clementine strains. If you’re looking for an early morning pick-me-up (minus the alcohol), this bud is totally for you. Mimosa #5 packs bright and happy daytime effects that are perfect for chasing sleep away and giving you a positive mood as you take on your day. You’ll feel an energetic, clear-headed lift at the onset of the high, which fills your brain with euphoric motivation and laser-sharp focus. A light tingle accompanies these effects, resting mainly in the body rather than your head. THC level is high with this one. 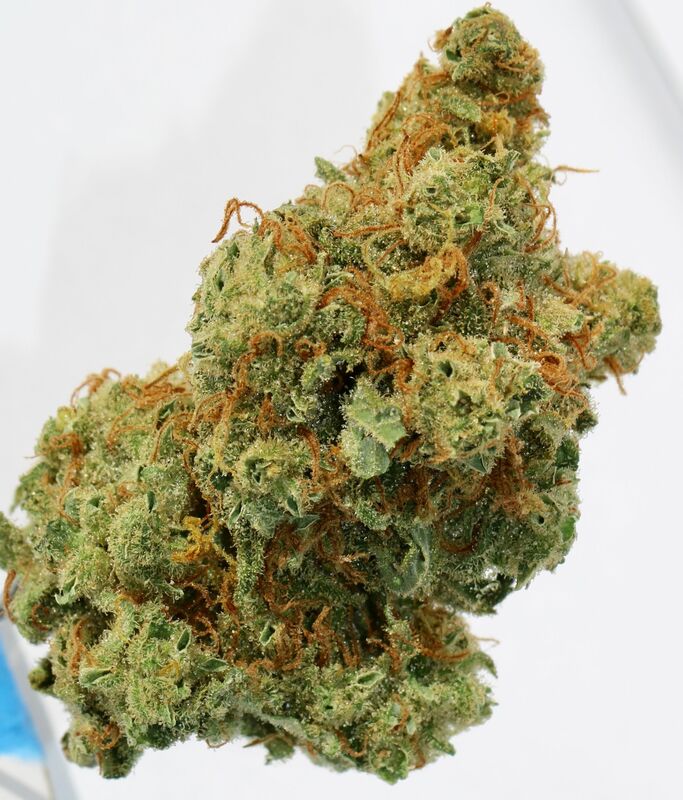 Mimosa #5 is said to be the perfect choice for treating those suffering from conditions such as depression, chronic stress or anxiety, ADD or ADHD, migraines, and nausea or appetite loss. This bud has a sweet and sour tropical citrus flavor with a light berry exhale, almost like a fresh mimosa! The aroma follows the same profile, although with an influx of woody florals and fresh earthy herbs. Mimosa buds have rounded dense small olive green nugs with lots of dark orange hairs and a coating of bright white crystal trichomes.